Headquartered in Frankfurt and with offices throughout Europe and South America. 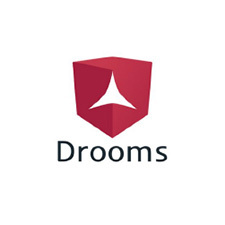 Drooms, thanks to its software products, is the global market leader in providing virtual data rooms which are used for the storage and exchange of highly sensitive information in the course of confidential business processes like real estate sales, mergers and acquisitions as well as executive communications. Our engineering centre in Belgrade relieved us from the almost dried out developer market in Frankfurt. Our everyday work is focused on solution design, software architecture and development of the next generation Drooms 3.0 application and services along with the development of the Teaser application. We implemented from scratch the Online Store application including the architecture, graphical design and development. Moreover, we are maintaining and further improving the Drooms 2.0 application with advanced administration features. The technology stack deployed includes Ruby on Rails supported by Sinatra services on the top of the distributed file system and PostgreSQL database. Daily communication and frequent mutual visits keep both development teams, in Frankfurt and Belgrade very close and aligned with the short-term targets and the long-term roadmap.